If this ain't the creepiest damn picture ever! Rapper Benzino was traveling down Route 3 just south of Boston when he was shot in the arm by his nephew. The rapper, whose mother passed away on March 20th, was driving in her funeral procession when his nephew drove up alongside him and opened fire. Benzino's vehicle pulled over and he was placed into another car and rushed to the hospital. Judging by the picture above, Benzino seems to be in good company as his BFF Stevie J stopped by to check on his friend. But can you imagine trying to grieve the loss of your mother and then you get shot by your own fam? Smh pure madness. Gai Scott, Benzino's nephew, was taken into custody and charged with intent to murder. The two had allegedly been beefing for awhile but what the hell made Gai get to this point? Is it really that serious that you have to shoot your uncle like that? My mind just can't comprehend this. This ish cray! The Love and Hip Hop Atlanta star has yet to tweet since March 19th but here's to wishing Benzino a speedy recovery! Head on over to Twitter and send him some love, I'm sure he can use it right about now. 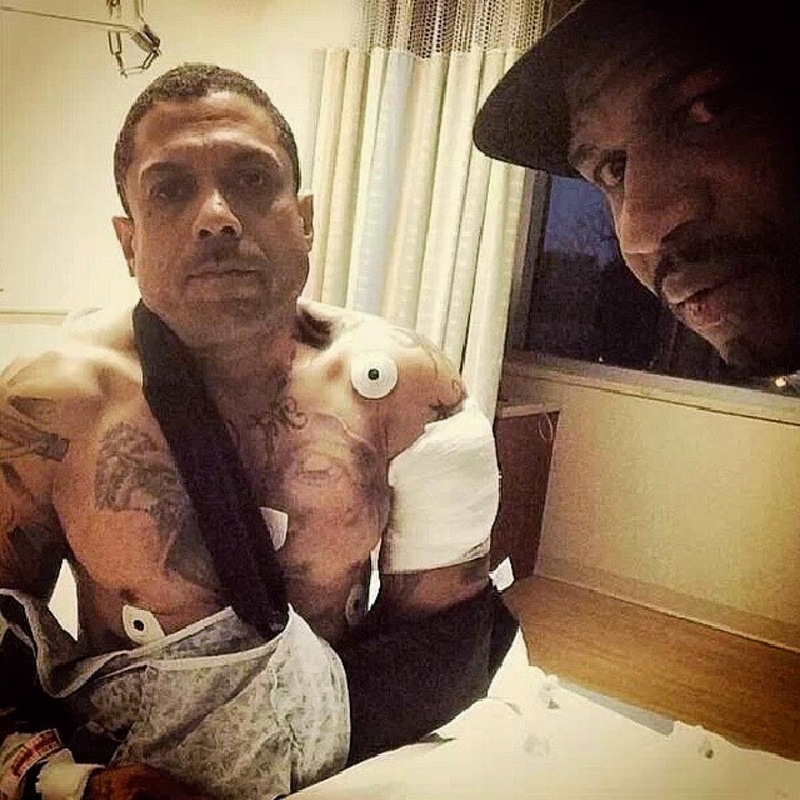 What do you think about Benzino getting shot by his nephew?